Every type of a family, whether extended, nuclear, single, multi-generational or foster families are affected by addiction in one way or the other depending on the family structure. 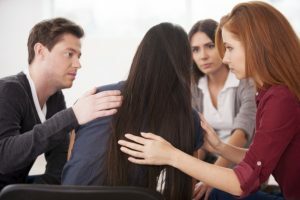 There are many social issues that coexist with drug / alcohol addiction and these issues need to be thoroughly addressed to help families improve their relationships with addicted members. What happens, the inter-generational effects of addiction pose negative impacts on trust and role modelling and this can affect family relationships between generations. 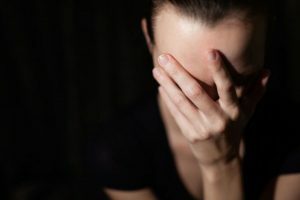 Since in most cases a person who is addicted to substance use becomes unreliable, friends and family are normally called upon to support financially and in different ways to share the workload, issues of resentment arise. Healthy family relationship is key towards a safe and healthy recovery. Family must establish strong bond with the addict so as to give him the assurance of love, acceptance and value. Their acts of kindness and not being judgmental or mad at their member in active addiction helps him feel valued and he will do all what he can not to let the family down. Recovering from an addiction is not an overnight event. It is a tough journey that calls for patience and focus. While trying to amend relationships ruined during the period of active addiction, you need to be very patient with him. The addict will apologize a lot for the past mistakes but he might find himself repeating the same. This does not mean that he will not overcome the situation. It is just a matter of time and he is able to bring his life back on track. Therefore, be ready to forgive as many times as possible and always celebrate the small steps you are taking daily. So, make sure you do something immediately you notice a change in behavior from any member of the family. Though many people are in denial and not many will freely tell you that they are taking drugs or alcohol, family should try as much as possible to find help for their addicted member as early as possible. In the initial stages of addiction, it is easy and cheaper to treat the condition and help the member cease drugs / alcohol the soonest time possible. If you need help with family relationship with an addict, feel free to talk to a family counselor now. You don’t need to keep quite as you silently watch your family burn in fire of resentment and anguish as a result of addiction. Speak out and seek help. The best thing to understand how to establish this family relationship with the addict is to have a clear understanding of addiction and how addiction has affected relationships. You’ll realize that for the addict, order of priority changes and the drug / alcohol of choice becomes the key priority. Therefore, do not be shocked to find a person who was so loving and active keeps distance and becomes so selfish. What he cares most about is where to find a quick fix for the next dose, and that’s all. Addiction varies and behaviors still do vary. In some severe cases, an addicted member of the family might become physically and emotionally abusive and you wonder how to deal with him. In this case, will you let him go? No! You can motivate him find help. If he is willing, you can go through the process together to ensure that you give him attention and every support needed during recovery.